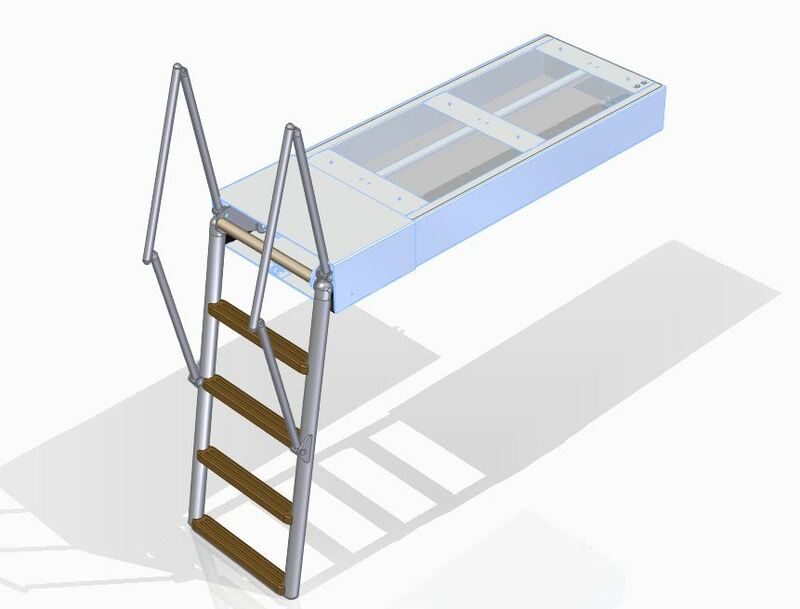 The bathing ladder Columba is a hydraulic boarding ladder with hydraulic driving motion intended for the embarkation to the water from the transom platform. 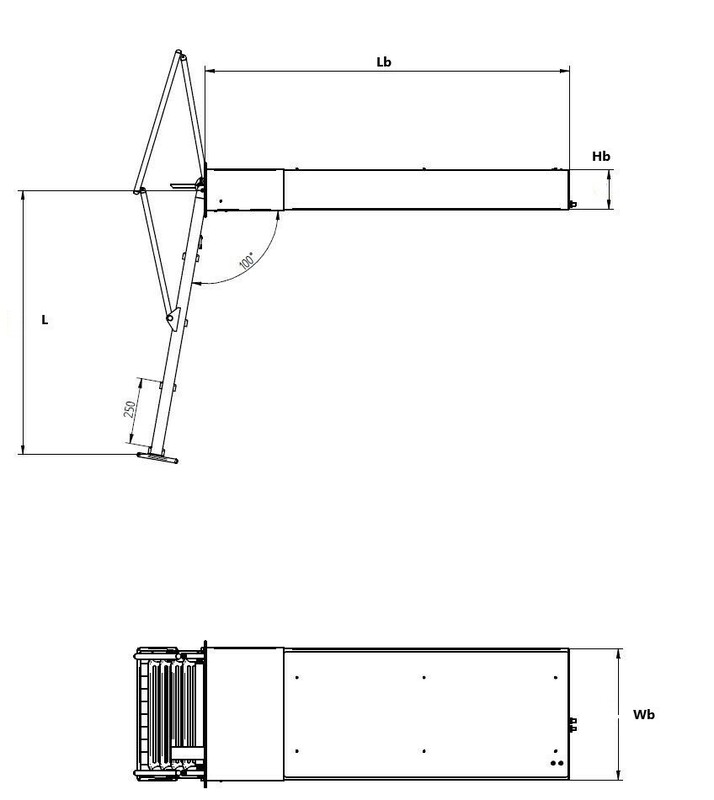 The ladder with fixed steps and automatic railing is automatically deployed at the end of the driving motion. The frame is made of high gloss polished AISI 316 stainless steel. Standard automatic stanchions on both sides. Fixed teps in teak wood with FSC certificate. Mechanical actuated hatch on the end of the trunk. 4 Steps 1020 385 1253 506 156 120 Kg. 5 Steps 1270 385 1503 506 156 120 Kg. 6 Steps 1520 385 1753 506 156 120 Kg. 7 Steps 1770 385 2003 506 156 120 Kg.